The Pilbara region in WA is being tipped in some quarters as being the scene of yet another mining boom. Not quite on the scale of the iron ore boom just yet, but something special is happening in the red dust near Port Hedland – it’s lithium, and lots of it. No other company typifies the rapid rise more than Pilbara Minerals Ltd (ASX:PLS), one of the shining lights of the resource space at the moment, currently capped at $560M – a stock which has been up as high as 2,000% in the last year alone. Pilbara’s rise demonstrates how the market has been whipping itself into a frenzy about its discovery of the world class Pilgangoora project – now the second largest spodumene-tantalite project in the world. Now it seems Lithium Australia (ASX:LIT) has taken a place at the big boys’ table as well. 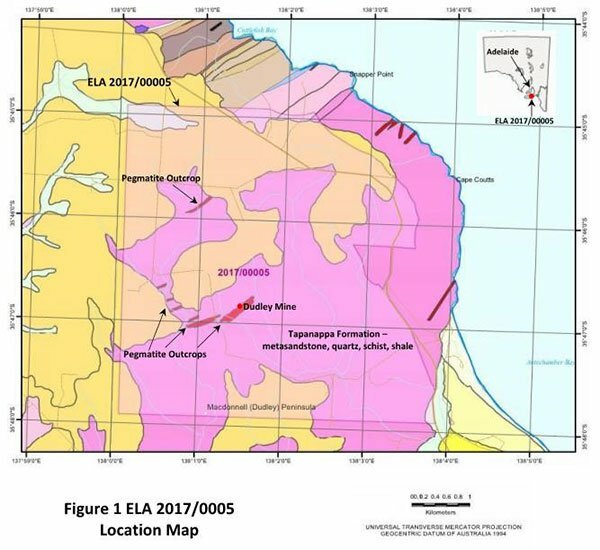 While a clutch of explorers have been trying to muscle their way into the region, LIT has just positioned itself as potentially vital to their fortunes now that it has joined forces with the $560M capped Pilbara Minerals in a 50/50 collaboration that initially aims to tests spodumene (lithium silicate) concentrates sourced from Pilbara’s Pilgangoora Project. The goal of the joint venture is to be a lowest cost quartile lithium carbonate producer by commercialising LIT’s SileachTM process and investigating the viability of jointly developing a lithium conversion facility. LIT’s tech could be the low cost key to staving off the plethora of producers from around the world coming to eat the Pilbara’s lunch. It is still early days in the formation of this partnership however, so don’t only use this piece of information as the basis of your investment decision and seek professional financial advice if considering adding this stock to your portfolio. In this article we’ll go into the truly game-changing deal LIT has managed to pull off with Pilbara Minerals and just why it matters so much. We’ll also give you a quick rundown of what moves LIT has been making lately and a brief on the potentially world-beating tech which underpins LIT’s market proposition. So, how did LIT become the potential saviour of the Pilbara? Earlier this week Lithium Australia (ASX:LIT) and Pilbara Minerals Limited (ASX:PLS) shook hands on a deal which could end up shaping the burgeoning Pilbara lithium province, aiming to take as much market share as possible. 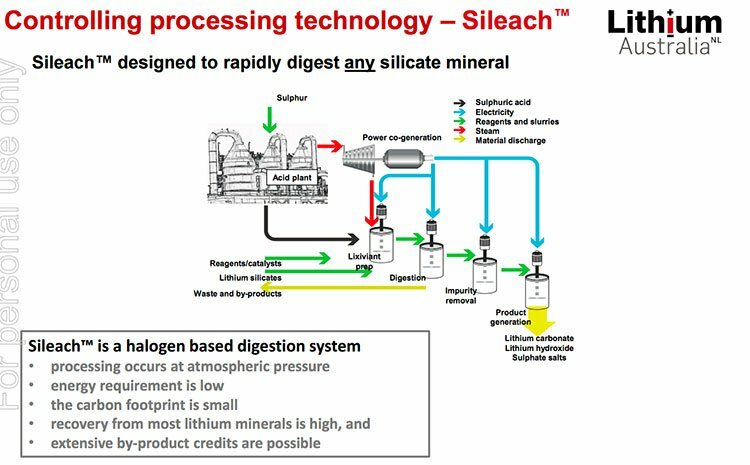 We’ll get into detail on this later, but what you need to know is that the deal centres on LIT’s SileachTM process – a way of produce lithium carbonate from lithium concentrates, spodumene in particular. The two have entered into a 50-50 joint venture to test concentrates sources from PLS’ Pilgangoora project, with the pair to jointly investigate the possibility of developing a lithium conversion facility – this has been dubbed the Sileach JV (SLJ). This SLJ facility will turn spodumene concentrate from PLS’ project into market-ready lithium carbonate – and there may be scope to take on other supply as well. Such a facility would be within cooee of one of the larger export ports in the world and well-serviced by rail and infrastructure – taking the main impediments out of the picture already. The first stage of the deal is to set up a space at the Australian Nuclear Science and Technology Organisation (ANSTO) – with LIT to bear the capital costs. PLS will supply the concentrate and they will jointly cover the operating cost. ANSTO continues to test SileachTM and has confirmed lithium extractions greater than 90% lithium for the lithium bearing silicates lepidolite and spodumene. Remember, the federal government is already building its enthusiasm for prospects of the Sileach process, having handed LIT a grant, back in March, to take it forward. Just a quick refresher – SileachTM is LIT’s proprietary technology which allows it to recover lithium from spodumene and all sorts of other lithium silicates without the need to roast the ore first. Normally, you’d need to roast the rock to unimaginable temperatures to separate the useful stuff from the not-so useful stuff. As you can imagine – that costs a bit of money. LIT wants to (in a nutshell) grind the ore, digest it in a bespoke lixiviant, manufactured from sulphuric acid, and then extract the lithium carbonate – all without roasting. Should LIT be able to produce a lithium carbonate from PLS’ spodumene concentrate, which it has already done on a laboratory scale – then a large scale pilot plant may be on the cards. It’s hard to overstate the importance of this deal. It paves the way for LIT’s tech to become the go-to solution for lithium hopefuls in the Pilbara. Think about the enormity of that. Imagine the tasty margins at play for the processor in question. Any margin at this stage is speculative and therefore any investment decision should not be based on this type of speculation. When making a decision take account of all facts with regard to the stock you are considering. So the question becomes – why on earth would Pilbara’s lithium hopefuls want to go through LIT’s plant? On a broad measure, the world of lithium extraction can be split into two: derived from brine or hard rock. Deutsche Bank has estimated that about 76% of the world’s lithium reserves are brine-based in nature. That means that the lithium mineralisation is literally within a brine solution, as opposed to in rocks. Here’s the thing though – brine projects are usually more capital intensive and slower to get up and running, but once they’re up and running the cost of extraction goes down materially when compared to hard rock deposits. The green here are the brine deposits of the world compared with the orange hard rock plays. As you can see, with the SileachTM process LIT thinks it could very well compare on costs with the brine producers – which turns out to be very important. It won’t actually know until it goes full-scale though, so keep that in mind. Deutsche Bank has been looking closely at the lithium buzz at the moment, trying to unpick future demand to see where the winners and losers may be. Its conclusions don’t make for great reading for hard rock miners which aren’t up and running by 2018. That is a very scary thought – given there are exactly zero brine deposits in Australia (that we’re aware of). That, suffice to say, would be fairly huge for the local industry. It would give them a way into the market post-2018 and ensure that any extra supply isn’t simply swallowed by brine projects at the starting gate right now. 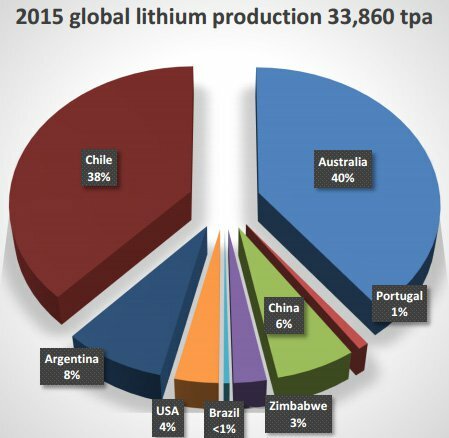 So why is the lithium market so important? You’ve probably heard a lot about lithium in the last little while – and for a fairly good reason. So, needless to say, investors are pretty interested in the space. On the surface, it’s quite literally being driven by Tesla and its line of electric vehicles. It’s using lithium-ion batteries to power its fleet of cars and energy storage solutions – and as you can guess lithium-ion batteries tend to use a bit of lithium. So Tesla is building a massive ‘gigafactory’ in the middle of the Nevada desert which at nameplate capacity will be capable of producing 500,000 batteries per year – expected at some stage in 2020. It basically more than doubles the entire world demand for lithium in one fell swoop – which is why when Tesla talks, the market listens. Earlier this month, Tesla founder Elon Musk single-handedly sent Samsung shares down 8% by tweeting out that it had not won the right to supply lithium-ion batteries for its model 3 small car. The market is intensely focused on Tesla right now, and the lithium world is no different. It knows that Tesla is not only leading the way on lithium-ion batteries but is also spawning a raft of imitators keen for a slice of the electric vehicle market – with all major auto manufacturers looking into their own plans to counter the massive popularity of Tesla’s models. Earlier this year it unveiled the Model 3 – and a short while afterward the pre-orders for the car reached 300,000 units within days, and now stands at over 500,000. That’s more than the US’ most popular combustion car – the Toyota Camry. This, however, is just one manufacturer. While the Tesla story is an easy narrative for the market to grab onto, the market has seemingly discounted the lithium-ion story playing out of Asia right now. It’s estimated in some quarters that out to 2020 Chinese manufacturers will add 52GWh of new capacity – Tesla’s Gigafactory slated to add 35GWh. According to the International Business Times , Chinese consumers are currently buying more electric vehicles than US consumers – but that’s not something which fits into the narrative too well. In March, the Chinese parliament handed down its 13 th five-year plan to the assembled media of the world. Among the recommendation was a commitment to reduce carbon intensity by 48% on 2005 levels by 2020 – above and beyond what it has committed to the international community. Add onto that the fact the Chinese government has set out a massive investment in rail and imposed stricter fuel economy standards on auto-manufacturers, you start to get a picture that Beijing is a touch keen to reduce its emissions. Enter electric vehicles, and the lithium-ion batteries which power them. No matter which way you look at the rise and rise of electric vehicles, it spells out a very bullish picture for lithium miners. It’s why LIT hasn’t just been about downstream processing, but also about making sure it has as much upstream lithium land as it can get its hands on. LIT is building a vertically integrated lithium play, being responsible for the mining, processing, and final delivery of lithium carbonate. It’s one thing to have a massive upstream position, but eventually you have to either pay to have the rocks you dig up by a third party or invest heavily in your own processing abilities. What LIT is doing is smart for what is still a relatively small and young company. It’s entered into joint ventures all over the place – making sure that while it’s building scale it’s not doing so by loading up drilling commitments for which it’s on the hook for 100%. That builds you scale, sure, but the cash burn rate and regulatory fancy footwork needed to maintain that scale can cripple a young company. The Yilgarn, the Pilgangoora, and the Senora. So this is the state of play for LIT in southern Western Australia (with one exception we’ll get to later). In order, it has an 80% stake in the Coolgardie project with Focus Minerals taking the remaining 20%. However, LIT recently swung a deal with Cazaly Resources (ASX:CAZ) for CAZ to take half of LIT’s interest in the Coolgardie project in return for a 50% stake in CAZ’s nearby Kangaroo Hills project – giving LIT access to even broader ground in the Goldfields region. Interestingly, central to the deal was the ability for CAZ to access the SileachTM process within the JV – does this mean SileachTM is becoming a central selling point when pitching JV arrangements...? This is a project which it has a 100% stake in, and good thing too, given there’s a massive amount of corporate interest in the area of late. LIT recently announced plans to drill 35 holes into the project, which is right next door to an area which was subject to a merger worth about $700 million in assets. The deal was for $216 million all-scrip – showing the level of interest in the area. This one could be really big for LIT. 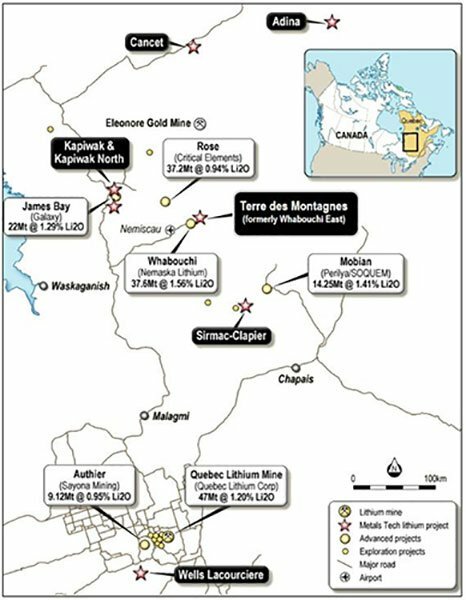 It’s basically right next door to the largest lithium mine in the world, and LIT has an 80% stake in the exploration permits. A private company holds the other 20%, but we cannot think of a better street address to be in right now, given the frenzy over lithium at the moment. It also recently farmed-into the Lake Johnson project , which is north north-west of its Ravensthorpe play – doing a deal with US Masters Holdings (ASX:USH). Under the terms of the deal, LIT will gain access to the lithium rights of the permits while USH will retain the gold and copper rights. Another smart play from LIT, which demonstrates that it’s thinking strategically about its upstream position. 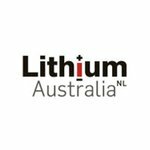 One other recent addition to LIT’s lithium project suite is the Bynoe pegmatite field in the Northern Territory. LIT was granted an exploration license in early April which will now be gradually progressed. 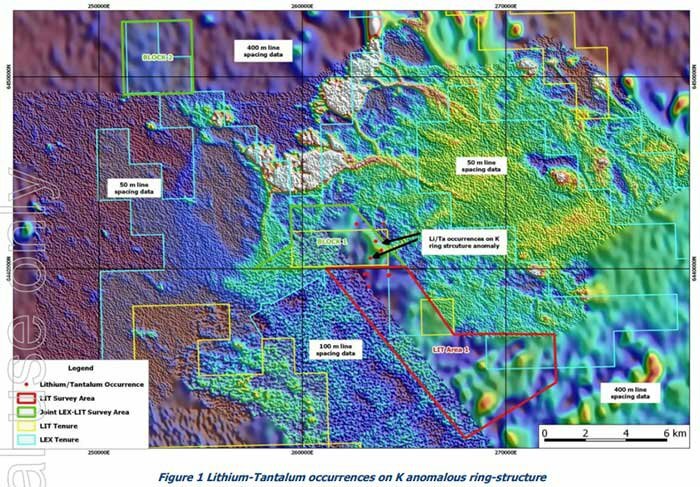 LIT plans to begin with a desktop study to identify and evaluate lithium mineralisation. The Pilgangoora in the Pilbara region of WA is one of the hottest places right now for lithium explorers, with a suite of lithium explorers such as Kairos (ASX:KAI) , Altura, and Dakota finding great shareholder support on the back of promising exploration leads. It’s entered into a Memorandum of Understanding with Venus Minerals (ASX:VMC) whereby LIT will be lending a hand to explore for lithium on the permits. It adds to another Pilgangoora arrangement LIT has , with (wouldn’t you know it?) PLS. The project has indicated and inferred resources of over 80 million tonnes of lithium oxide ore.
At this stage, this number is an indication only of PLS’s resource, and there is no guarantee LIT and VMC will be able to find something as large. So don’t just go on these numbers as the basis of an investment decision, it is always wise to seek professional financial advice when considering this and any other stock for your portfolio. 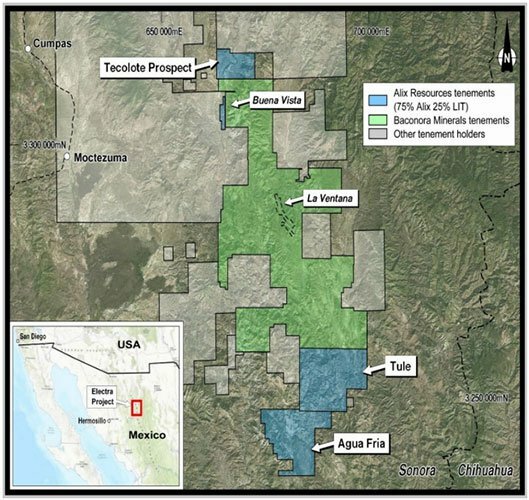 The final piece of the upstream puzzle is a deal it has pulled off with TSX-listed Alix Resources (TSX:AIX) to enter its lithium project in the Sonora Desert in Mexico. The first thing which makes this interesting is that it’s right next door to a project which has been a company-maker for Bacanora Minerals (CVE:BCN). It’s gone from about 50c per share to about $1.50 today on the back of buzz generated by being located within earshot of Tesla – not that LIT will do the same. Coincidentally, that project was also the scene of a conditional deal struck to receive lithium compounds – with the project pencilled in to supply 35,000 tonnes of the stuff . But the most interesting thing to us is that it’s a clay lithium deposit rather than a hard rock or a brine deposit. Note, we said if . We said at the top of this article that LIT could be a key player in a Pilbara mining boom 2.0 – and that’s a huge call and you probably shouldn’t invest on the proviso that it will end up being 2.0. It’s more of a demonstration of the position LIT has built in an emerging story. The Pilbara is starting to heat up as a lithium destination, and LIT may just have the tech which will allow the region to compete with brine producers after 2018. If LIT can pull this off, then it could just unlock another wave of investment in the region – and LIT will be at the centre of it. In the background, it appears the demand side for lithium shows few signs of slowing down. LIT has also been building its position in the upstream as well, making sure it’s well-positioned to take advantage of corporate interest in the sector. Upstream and downstream, LIT is the little stock that could – muscling into the territory not with the brawn which cash brings but with the brain that its disruptive tech brings. Its tech has been central to upstream deals it’s been able to strike, and will undoubtedly continue to buy it a position at the big boys’ table for quite a while yet.